We are at a unique time in history in which human beings are at once more reliant on technology, and more interested in spiritual pursuits. Recent studies on spirituality have revealed a number of benefits that belief in a greater power can have on our lives – research has shown that everything from religious practice to mindfulness-based activities like yoga, can help us weather life’s vicissitudes, and enable us to form part of a community, which helps us battle anxiety, depression, and the sense of isolation. As we prepare to give greater importance to spirituality or religion in our lives, we wonder about the effect artificial intelligence may have on theology. Those who believe artificial intelligence can work perfectly well alongside spiritual or religious belief, are nevertheless mindful of by warnings by authorities such as Elon Musk, who stated, “I have exposure to the most cutting-edge AI, and I think people should be really concerned by it. AI is a fundamental risk to the existence of human civilization…” Stephen Hawking, meanwhile, warns the emergence of AI could be “the worst event in the history of our civilization.” He adds that we simply do not know, at this stage, if AI could disrupt economies or be a new way to oppress people. Despite these warnings, AI technology is currently being used in a number of contexts we would not expect; even in processes such as GRE and other online exam preparation, which relies on AI to personalize learning so students learn more speedily and improve scores. Much work is also being carried out on AI in the automotive industry, with self-driving cars already enjoying test runs along small routes. Once machines are able to think for themselves, they may also take on a spiritual dimension. This will lead us to question the idea the eternal component of human beings, their soul, is created by a powerful life force that lies beyond our comprehension. The Atlantic quotes Christopher Benek, a Florida pastor, who boasts an “enlightened” view of spirituality: “I don’t see Christ’s redemption limited to human beings,” he says, thus opening the doors to sentient machines in the future. Of course, there are so many questions that arise, considering machines are able to distinguish right from wrong, and therefore could theoretically easily avoid ‘sinning’ would be ‘playing in a different league’, as it were, to humans, who are, according to religions such as Christianity, inherently flawed (as per the doctrine of Original Sin). Moreover, can we envision taking part in our religious or spiritual communities alongside machines? How would they be able to benefit from mindfulness pursuits such as yoga alongside us? To what extent would being in Nature make them ‘feel’ closer to an eternal life force, and would meditation actually relax them or enable them to battle stress? Would they feel, as Jung postulated, isolated, depressed or insignificant, unless they pursued a spiritual life? Can AI Help Human Beings Be More Spiritual? There are many members of the academic community who feel AI can actually enhance our spirituality. For one, it would enable human beings to enjoy more free time, which they could dedicate to health, wellbeing, connection with others, and prayer. There are so many ways we could enrich our inner world, above all by helping those in need and dedicating our time to improving our Planet environmentally, economically, and socially. At least in so far as AI continues to work alongside human beings (instead of annihilating them, as espoused by followers of Musk and Hawking), AI might actually help us lead a more complete life in which we enjoy the time we need to take part in spiritual pursuits with others. Currently, the technology has a long way to go until spirituality becomes an issue, but it is advancing at breakneck speed. Before long, we could live among other sentient life forms which has what many of us wonder if we have at all: a soul. Generally,when humans have time, we spend more time on doing bad/evil activites compared to the time spend on good activites….Unless we dedicate the extra time gained in fruitful activites it is going to be a problem. 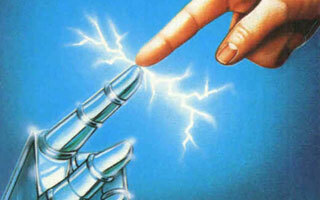 I hope Artificial Intelligence can help human not kill job of human. this is so care…. When people can do what people like.